Research shows 10 a.m. is the healthiest time for dayside workers to start work. This gives people time for health maintenance, which prevents illness. Time to meditate, stretch, exercise, have breakfast, read a bit, shower and go. Instead, society has the masses rushing in sleep-deprived to clock in at 7 a.m. or 9 a.m. Instead of promoting health –the typical American schedule, activates cortisol levels. As mentioned, cortisol is bad, and it’s highest when you rise. Cortisol continues to rise as you rush to get to work on time fearing you’ll be late, fearing you didn’t have time to eat right or exercise, fearing all the bad news you hear or read from mass media on your way into work. It’s no wonder road rage is highest then. Cortisol causes inflammation in your body and keeps you in this chronic state of fear. It’s a breeding ground for cancer. Good news is you CAN reverse cortisol release in your body. Anyone who boasts about “being up all night” is a walking time bomb for illness . If you stay up all night –you should not be boasting about it. You need to get to sleep to reduce levels of cortisol. The bad news is cortisol is addicting, which is why people in the rat race are perpetually on the go-go-go. But where are they going is the question, as cortisol has been called the death hormone. If you can’t count on your employer to care about your health, then you HAVE to take it upon yourself to schedule decompressing. Take breaks. Walk around office. Go to a park during lunch. Eat nutritious foods. One hour before bed, turn off all electronics, pour a hot bath with Epson salt, put on soothing music, close eyes, breathe deeply, think of nothing but all you are grateful for. Then, set your alarm to sleep for at least 9 hours. This may be easier said than done when you have kids needing your attention. But kids need healthy parents, so try to think of a way to make time for your own mental, physical and spiritual health, so everyone else is safe in your presence. Don’t do it when the kids are in water. You need to keep an eye on them then. Remember, if you haven’t slept, you’re the equivalent of a drunk while driving. So, if one of your responsibilities is getting kids to practice or play dates, you need your sleep. If your kids turn in at 8 p.m. then make 9 to 10 p.m. your decompressing time. Watching TV or scrolling through social media doesn’t count. You need to turn it all off. Again, take a warm shower, bubble bath, listen to music, go outside for a walk and breathe deeply. This will prime you to sleep like a baby. Of course, many people who commute don’t get home until 9 p.m. so they need to scarf down food and crash and that’s after sorting through mail, cleaning, and the list goes on. It can be a struggle to get to bed in time to get enough sleep to do it all again next day. Again, this process all activates cortisol levels in people. So any company that says they care about a healthy workforce and subscribes to this formula are clueless about health. Some companies think having a gym at work equates to good health. Most are empty. When you’re trying to do it all, nothing gets your full attention. It simply piles up. It leads to staying up late and not getting enough sleep to be productive and healthy the next day. It’s a continual cortisol fest with no life balance. The solution for corporate America may be to start in times at 10 a.m. and 11 a.m. for commuters — giving people enough time to rise and shine early, meditate, have a nutritious breakfast, get some exercise, spend time with family. Happy employees are loyal employees that have the energy to go the extra mile. People’s productivity will rise as a result, unlike their cortisol levels. Too many success articles focus on making money or achieving titles, status, fame or material possessions. It’s none of that. It’s HEALTH. Before. During. After. When you are healthy in mind, body and spirit you make good life decisions and have balance, which means if things beyond your control change –you will be OK.
Money, title, status, fame and material possessions can change in the blink of an eye. Don’t be defined by that. Be defined by who you are as a person. Spend time with those that matter, help as many people as you can, and don’t take yourself to seriously. Disneyland. Healthy Families. Sis is missing. Success includes character traits, such as kindness, honesty & thoughtfulness. And those traits are most likely to exhibit themselves when you are healthy and combat cortisol. Colleagues, family members, friends and your company benefits when you’re healthy. Making lots of money is wonderful, but if you don’t make health a priority, by the time you reach your professional or financial goals, you will not be able to enjoy it. Time to make health a priority before you run out of time. Tesla reportedly curled his toes 100 times on each foot before sleep, believing that stimulated brain cells. Funny, I do that to warm up my Flintstone feet. Thank you Ashlee Christian for adding two women to the list. I’ll find more and add to the end. Actually, my siblings are going to have a laugh at this one. Emily Brontë was plagued by insomnia and would walk circles around her dining room table until she fell asleep (presumably in a bed and not under the table, but who knows). 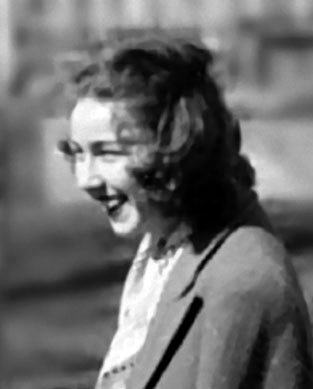 Flannery O’Connor slept from 9pm to 6am every day. That’s a regular nine hours. 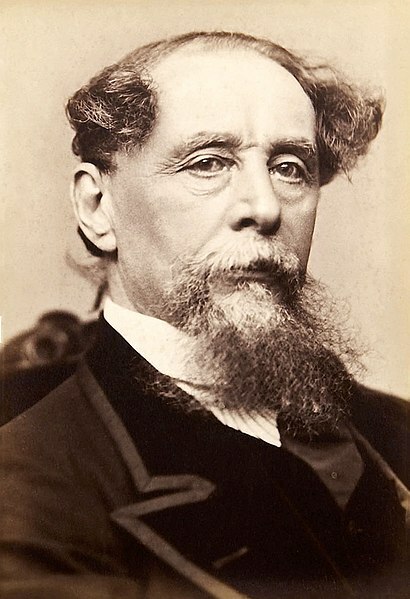 Charles Dickens carried a navigational compass with him at all times to ensure that he was always facing north while he slept. He believed that this practice improved his creativity and writing (and perhaps his ability to always know what direction he was facing at any given time). 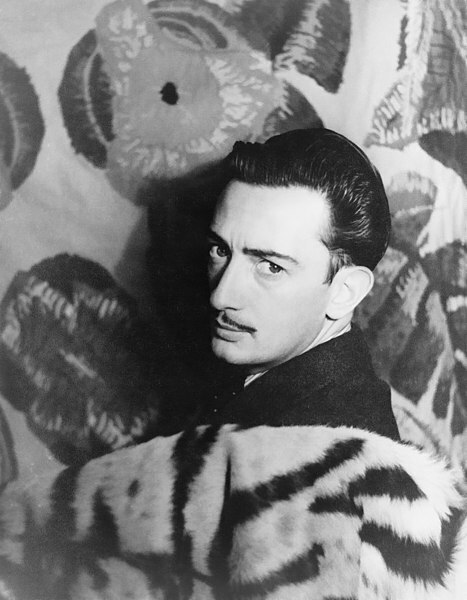 Salvador Dalí thought sleep was for the birds, or you know for all the other organisms that actually need to sleep for more than one second at a time.He would nap in a chair with a key in his hand above a plate, and the second he fell asleep the key would fall, hit the plate, and wake him up. Similar to the Uberman cycle, it is a form of hypnagogic sleep that Dalí felt enhanced his creativity. It’s important to know how much sleep you need to be at your best and most productive. For me, it’s 10 hours. People think I don’t sleep at all, when it’s actually the opposite. I get ten hours, but it may be at odd times. For instance, if I’m working at a network from midnight to 8 a.m. I sleep from 9 a.m. to 7 p.m. and get on a bus at 8 p.m. to arrive 10 p.m. If I’m dayside, I adjust time. If I’m on my own, as long as I get 10 hrs. in there somewhere, I’m good. If sleep is interrupted, multiple power naps come in handy, but they’re never a replacement for a good night’s sleep. A lot of writers in history like Fran Kafka wrote from 10 p.m. to 3 a.m. and slept around that schedule. Basically, if you work from home you can find when you’re most productive and be up then, but you have to make sure you work in 9 hours of sleep around it. Today is National Nap Day. These days are created to raise awareness, which begs the question about a lot of stupid ones out there. I digress. It’s today because you lost an hour of sleep yesterday when the clocks jumped forward, so you may feel sluggish today. Hence, National Nap Day to let you know it’s okay to close your door and take a nap today. Good luck with that in open work environments. One sneeze and the whole team get sick. Seriously, who came up with open work environments? Collaborative? That’s 2 or 3 people in one office, not an open zoo hearing everyone’s conversations or chewing gum, smelling cologne, perfume or food –the list can go on about how these people pretend to work and secretly can’t wait to get the heck out of there. I can walk into any company and know if it’s a healthy office or team. The irony is some of them profess to be about health when they’re the Canal Street of Madison Avenue. You can buy a fake watch, but as genius Steve Jobs learned, you can’t buy into anything fake when it comes to health. I don’t know how many hour Jobs slept a night, but he was known to call designers up at 3 a.m. My guess is he probably could have used someone with his best interests at heart advising him on healthy habits. It’s so dangerous to get yes men or women or those trying to sell something around you when you’re successful or worse, those giving you misinformation. I promised earlier I would find more women. OPRAH! I already said I know she loves power naps, but I am curious how many hours of sleep she gets a night. She reports she is at her best at 5 and a half hours of sleep each night. Oh no. There you have it. That’s why she has had weight issues her whole life. Why hasn’t any expert told her this?? At that amount of sleep her body is releasing something called cortisol and it keeps the hunger gremlins turned ON, ON, ON all the time while causing inflammation in the body. Why didn’t Dr. Oz catch this? Rest is critical to the body. If she changed this ONE habit she will be amazed at the results. The world needs people to rest. Less illness. People think when you have a million or a billion dollars you should sleep like a baby. NO! Not true. Remember when you were a kid and you couldn’t sleep the night before Christmas because you were too excited?! Well, having a billion dollars is initially like that. Then, stressors appear like competition, relationships, fake people suddenly inviting you to be a part of this or that event, dinner or organization just because you have money. You’ll wonder where these people were when you had no money. They are not your friends. When you realize the fakeness in all the fundraising and pay to play things out there you realize some things can not be bought. Everything real can not. True friendship. True love. True health. True happiness. Another thing happens when you have money. Friends without money can’t do everything you want to do because they don’t have money or free time. That’s where it’s lonely at the top come from. So, there is stress. If a wealthy person or a poor person do not sleep enough the results are the same. They will both experience a rise in cortisol, the fear hormone which causes inflammation inside your body. Too many yes men or women or ill informed people around you really can cause you to be sick. Make sure you have a healthy reference group in your circle. Let’s look at some other sleeping habits. Marissa Mayer reports 4 to 6 hours. Again, not good. Lordy, Martha Stewart reports 4 hours. President Obama reports sleeping from 1 a.m. to 7 a.m. That’s only 6 hours a night. It’s so important the President be well-rested. I bet whoever they put on the White House team for health writes prescriptions when someone can’t sleep instead of really caring and or knowing about health. The world needs people who brag about getting a good night’s rest. The funny thing is it shows on their faces and bodies and ability to make good decisions. I forgot to mention that the release of cortisol in your body also ages you faster. I know so much about cortisol, but this blog is about NAPPING and the sleeping habits of Geniuses, so will save that for another time. Until then, hope you’ve learned something that makes you healthier. It’s never too late to change a habit for the better. Genius inspiration favors the well-rested mind. In honour of National Napping Day, Mark Molloy of UK Telegraph takes a look at some of the apparent benefits of taking some time out of your busy schedule to catch up on your sleep. Napping could reduce blood pressure and stave off heart attacks, according to Greek researchers. They found that those who had a nap at noon later had lower blood pressure than those who stayed awake through the day in a study involving almost 400 middle-aged men and women. “Midday naps seem to lower blood pressure levels and may probably also decrease the number of required antihypertensive medic [drugs],” said Dr Manolis Kallistratos, the lead researcher. Both Margaret Thatcher and Sir Winston Churchill knew about the benefits of having power naps to stay focused for longer at work. Baroness Thatcher famously slept for just four hours a night during the week, though she took regular daytime naps. Sir Winston Churchill managed on just four hours sleep a night during World War Two – but insisted on a two hour nap in the afternoon. Scientist Albert Einstein reportedly slept for 10 hours a night, plus daytime naps. Post-lunch power naps can be as refreshing as a good night’s sleep, according to a study. Scientists have shown that a 60- to 90-minute siesta can charge up the brain’s batteries as much as eight hours tucked up in bed. Bosses should let their staff take naps at work as sleeping for 30 to 90 minutes in the afternoon can improve creativity, a leading brain researcher claims. “It’s best to give your brain downtime. I have a nap every afternoon,” explains Vincent Walsh, professor of human brain research at University College London. Toddlers who are denied regular afternoon naps grow up into grumpier and moodier adults, a study indicates. US researchers found that toddlers who miss just one daytime nap become more anxious and less interested in the world around them. Spanish scientists believed they have proved a siesta is good for you and issued guidelines for the perfect nap. A short sleep after lunch can reduce stress, help cardiovascular functions, and improve alertness and memory, according to the Spanish Society of Primary Care Physicians (SEMERGEN). They suggest a siesta should be no longer than half an hour, others suggest it should not be longer than 15 minutes. Naps can restore alertness, enhance performance, and reduce mistakes and accidents, according to the National Sleep Foundation (NSA). A study at NASA on sleepy military pilots and astronauts found that a 40-minute nap improved performance by 34 per cent and alertness 100 per cent, the NSA reports. Meanwhile, this simple 10-3-2-1-0 formula could make your days more productive. As Prime Minister, Margaret Thatcher famously slept for just four hours a night during the week, though she took regular daytime naps. Business magnate Donald Trump boasts just three to four hours sleep nightly. Bill Gates, former chief executive of Microsoft, says he needs seven hours of sleep to “stay sharp”. In 2000, I practically lived at the Cleveland Clinic. In fact, they wanted to put me up at a hotel, but I preferred to be closer to the patients I was writing stories about. One of those patients was dying from AIDS. He was in the Palliative Care Unit. I spent time speaking to him, his partner, his family and his caretakers. I’d been a professional health journalist since 1993, after working in media as a researcher, producer and writer for 10 years. I love covering health, studied it since I was a kid and covered it on college newspapers. I couldn’t afford to go to medical school, but think journalism ranks up there as one of the most important callings in the world. We filmed a documentary on Palliative Care and it was an extremely touching story. He was an in-patient, but his room was beautiful and he shared how comfortable he was knowing he had the best physicians around him and that family could visit any time. We talked so comfortably about everything not even minding the camera in the room. One day prior to it being released I got a call. The patient died. His partner was devastated. His partner thanked me for creating the most beautiful keepsake he had –the video. Through his tears, he asked if I would refrain from airing it. It was something he and the patient had talked about prior to his passing away –that they would only want it to air if they could watch it together. They knew the possibility existed that it would not happen. The need for a healing touch continues even after a cure is no longer possible. Palliative medicine is comprehensive medical care for patients with life threatening disease that focuses on control of cancer symptoms, management of complications, and quality of life. It cares for patients and their families and treats the cancer symptoms of body, mind and spirit. It is most successful when done with a multidisciplinary team approach to treating the cancer symptoms. What are the goals of Palliative Medicine? What does a Palliative Medicine team do for my family and me? We strive to help people live as well as they can despite their illness and to cope with cancer symptoms. We focus on controlling any cancer symptoms that may be interfering in the quality of life, defining goals for any subsequent treatment, and maintaining the best physical and emotional well-being possible despite complex problems. The medical specialist functions as the quarterback of a team, including the patient and the family in what can be difficult decisions. Family conferences are routinely held to ensure that everyone involved is aware of and involved in the plan of care. Cancer Symptom Control: There is no need for anyone to suffer from uncontrolled pain, nausea or dyspnea (shortness of breath). Medical science knows how to effectively control these cancer symptoms most of the time. Making sure this happens is one of the primary goals of this program. Case Management: People with serious illness often have many doctors involved in their care making. It is difficult to determine who to contact when a problem occurs. In this program, each patient has a registered nurse case manager assigned. That person is then a link to all other caregivers and available after hours. The Harry R. Horvitz Center: Most people can be managed in an outpatient setting, but in crisis, this 23-bed inpatient unit is available for comprehensive multidisciplinary care. Inpatient Consultation Service: Comprehensive assessment and management of symptoms in other areas of the hospital is provided to ensure maximum comfort for all hospitalized patients. The attending physician must request this service. Outpatient Clinic: Specialty follow-up and consultation are available in this clinic. Nurse case managers maintain contact with their patients in this setting also. Home Care and Hospice: As people become more ill they may need assistance at home which can be provided by Cleveland Clinic Home Care Ventures. As end of life approaches, the Hospice of the Cleveland Clinic is available at home for the special multidisciplinary care so critical at this time of life. Inpatient hospice care in the community is also available. Continuity is maintained throughout with the staff of the Palliative Medicine Program. What is special about the Harry R. Horvitz Center? Dr. Declan Walsh first developed the program at the Cleveland Clinic in 1988. At that time nothing of its kind existed in the United States. It still remains one of the few fully integrated programs in this country. In 1991 it was recognized by the World Health Organization as “a unique model of a much needed service” and designated a WHO Demonstration Project. The program had the first endowed chairs in Palliative Medicine in the USA. The Harry R. Horvitz Center for Palliative Medicine also conducts important cancer research and educational programs in pain management, symptom control and nutrition. Donations made to the Harry R. Horvitz Center for Palliative Medicine are allocated for this vital research. Advances made at the Cleveland Clinic have minimized unwanted side effects of treatment and enhanced quality of life for patients with advanced disease and painful cancer symptoms. Speak with a cancer nurse specialist for appointment assistance and for answers to your questions about cancer locally at 216.444.7923 216.444.7923 or toll-free 1. 1.866.223.8100 FREE866.223.8100 866.223.8100 FREE. Monday through Friday from 8 a.m. – 4:30 p.m. (ET). Referring Physician Concierge: 216.444.6196 216.444.6196 or 216.312.4910 216.312.4910. Search available cancer clinical trials by disease, hospital, phase or number. This information is provided by Cleveland Clinic and is not intended to replace the medical advice of your doctor or health care provider. Please consult your health care provider for advice about a specific medical condition. © Copyright 2016 Cleveland Clinic. All rights reserved. Psychiatric hospitalizations of Latino children and young adults in California are rising dramatically — at a much faster pace than among their white and black peers, according to state data. While mental health hospitalizations of young people of all ethnicities have climbed in recent years, Latino rates stand out. Among those 21 and younger, they shot up 86 percent, to 17,813, between 2007 and 2014, according to the Office of Statewide Health Planning and Development. That’s compared with a 21 percent increase among whites and 35 percent among African Americans. No one knows for certain what’s driving the trend. Policymakers and Latino community leaders offer varying and sometimes contradictory explanations. Some say the numbers reflect a lack of culturally and linguistically appropriate mental health services for Latinos and a pervasive stigma that prevents many from seeking help before a crisis hits. “Often, they wait until they are falling apart,” said Dr. Sergio Aguilar-Gaxiola, a professor at the University of California, Davis Medical School and director of the university’s Center for Reducing Health Disparities. This story also ran in The Sacramento Bee. It can be republished for free (details). Others blame stress from the recent recession, family disintegration and an influx of traumatized children fleeing poverty and violence in Central America. Still others suggest the trend might actually be positive, reflecting an increasing willingness among Latino parents to seek treatment for themselves and their children, at least when they are in crisis. Among Latino adults, psychiatric hospitalizations rose 38 percent during the same period. Similar hospitalizations of black adults increased 21 percent, while hospitalizations of white adults remained flat. Margarita Rocha, the executive director of the nonprofit Centro la Familia in Fresno, said mental health issues are starting to be discussed more publicly in the Latino community. “That’s helping people to come forward,” she said. Ken Berrick, CEO of the Seneca Family of Agencies, which serves children with emotional disturbances in a dozen counties, agreed. Because more Latinos are now getting mental health services, children are more likely to be identified as requiring hospitalization, he said. “I know for a fact that access to service is better now,” said Berrick, whose operation has a crisis stabilization unit in Alameda County, Calif.
Kids’ psychiatric hospitalizations overall rose nearly 45 percent between 2007 and 2014, regardless of ethnicity, a pattern experts attribute to various factors including a shortage of intensive outpatient and in-home services, schools’ struggles to pay for mental health services through special education and a decline in group home placements. “Those kids have to be treated somewhere,” said Dawan Utecht, Fresno County’s mental health director, of the move to keep kids out of group homes. The rise among Latino youths is remarkable in part because hospitalization rates for that population historically have been relatively low. Latino children remain much less likely to receive mental health treatment through Medi-Cal, the state and federal coverage program for poor and disabled residents. Between 2010 and 2014, less than 4 percent of Latino children received specialty mental health services through the traditional Medi-Cal program. That’s compared with 7 percent of eligible black and white children, according to state data. The numbers don’t include those enrolled in managed care. Leslie Preston, the behavioral health director of La Clínica de La Raza, in East Oakland, says that the shortage of bilingual, bicultural mental health workers limits Latino kids’ access to preventive care, which could lead to crises later on. Access to care can be even harder for recent immigrants. Spanish-speaking children who have been referred for a special education assessment, which can help them become eligible for mental health services, sometimes wait months or years before someone tests them, she said. Other clinicians point to relatively low health insurance coverage among Latinos, particularly those without legal status, and a cultural resistance to acknowledging mental illness. Dr. Alok Banga, medical director at Sierra Vista Hospital in Sacramento, said some immigrant parents he encounters don’t believe in mental illness and have not grasped the urgency of their children’s depression and past suicide attempts. Many are working two or three jobs, he said. Some are undocumented immigrants afraid of coming to the hospital or having any interaction with Child Protective Services. But the biggest problem, from his perspective, is the shortage of child psychiatrists and outpatient services to serve this population. “The default course for treatment falls on institutions: hospitals, jails and prisons,” he said. Jeff Rackmil, director of the children’s system of care in Alameda County, said sheer population growth — particularly, an increase in Latino children insured under Medi-Cal — may also be part of the explanation for the rise in hospitalizations. Yet the state’s Latino population aged 24 and under increased less than 8 percent between 2007 and 2014, which doesn’t nearly explain an 86 percent increase in hospitalizations. Some California communities are working to bring more Latino children into care and to reduce the stigma associated with mental illness. At Life Academy of Health and Bioscience, a small, mostly Latino high school in East Oakland, students grow up amid pervasive violence and poverty. “We’re just told to hold things in,” said 17-year-old Hilda Chavez, a senior. Students often don’t seek help because they fear discussing mental health problems will earn them a label of “crazy,” Chavez said. Last year, the school, in conjunction with the Oakland-based La Clínica de La Raza, started a program to interest students in careers in mental health care. The program provides training in “first aid” instruction to help people in crisis, and places students in internships with mental health organizations. Nubia Flores Miranda, 18, participated in the program last year and now is majoring in psychology at San Francisco State University. Miranda said she became interested in a career in mental health after she experienced depression and anxiety during her freshman year at Life Academy. Seeing a school counselor “changed my life around,” she said. But she saw that her peers were wary of seeking help from counselors at the school, most of whom were white and lived in wealthier, safer neighborhoods. Once, when a classmate started acting out at school, Miranda suggested she talk to someone. “She told me she didn’t feel like she could trust the person — they wouldn’t understand where she was coming from,” she said. The shortage of services is especially evident in the Central Valley, where many agricultural workers are Latino. Juan Garcia, an emeritus professor at California State University, Fresno, who founded a counseling center in the city, says the drought and economic downturn have exacerbated depression, anxiety, substance abuse and psychotic breaks among Latinos of all ages. “The services to this population lag decades behind where they should be,” he said. In Fresno County, psychiatric hospitalizations of Latino youth more than tripled, to 432, between 2007 and 2014. Hospitalizations of their white and black peers about doubled. Liliana Quintero Robles, a marriage and family therapy intern in rural Kings County, also in the state’s Central Valley, said she sees children whose mental health issues go untreated for so long that they end up cutting themselves and abusing alcohol, marijuana, crystal meth and OxyContin. “There’s some really, really deep-rooted suffering,” she said. Out in the unincorporated agricultural community of Five Points, about 45 minutes from Fresno, almost all of the students at Westside Elementary School are low-income Latinos. When principal Baldo Hernandez started there in 1981, he’d see maybe one child a year with a mental health issue. These days, he sees 15 to 30, he said. He blames dry wells and barren fields, at least in part. “I’ve had parents crying at school, begging me to find them a home, begging me to find them a job,” he said. In some parts of the Valley and other places, the closest hospitals that accept children in psychiatric crises are hours away. Children can be stuck in emergency room hallways for days, waiting for a hospital bed. “It makes for a very traumatized experience for both families and children,” said Shannyn McDonald, the chief of the Stanislaus County behavioral health department’s children’s system of care. Recently, the county expanded its promotora program, which enlists members of the Latino community to talk to their peers about mental health. In the small town of Oakdale, a slim, energetic 51-year-old promotora named Rossy Gomar spends 60 to 70 hours a week serving as cheerleader, educator and sounding board for many of the Latino women and children in the town. Gomar’s office in the Oakdale Family Support Network Resource Center is cluttered with open boxes of diapers and donated children’s toys and clothing. Gomar says many of the women she works with don’t recognize that they are depressed or abused. Children see their parents’ problems and don’t know where to turn for help. “There are many young people who don’t have any hope,” she said. But little by little, she has seen some good results. One 17-year-old client is a student at Oakdale High School. The girl, whose name is being withheld to protect her privacy, said that earlier this year, problems at school and a break-up with her boyfriend had her struggling to get out of bed each morning. She began drinking, using drugs and thinking about suicide. She was scared to talk to her parents, she said, and kept everything inside. One day, she walked into Gomar’s office and started crying. The California Wellness Foundation supports KHN’s work with California ethnic media.